For defense against external threats, TL-ER6020 features an automatic protection to detect and block Denial of Service (DoS) attacks such as TCP/UDP/ICMP Flooding, TCP Scanning, Ping of Death and other related threats. Dual WAN Support. WAN Ports: 2x GbE. Enterprise Features. Specializing in refurbished Riverbed Products. Radware AppDirector OnDemand Switch. Manufacturer: Radware. Form Factor: Rack-Mountable. RAID Cards. Graphics Cards. Hard Drives. You may be interested in. Data Link Protocol Ethernet, Fast Ethernet, Gigabit Ethernet. Model Number F5-BIG-LTM-3900-8GB-R Manufacturer F5 Networks Product Description F5 BIG-IP 3900 Switch: Local Traffic Manager 3900 8GB ROHS, Complete, with Rail Kit. Damaged Thumbscrew on back of unit. Please see the picture. Still works perfectly! Condition Refurbished, Fully Tested and in Great Working Condition. Damaged Thumbscrew on back of unit. Please see the picture. Still works perfectly!. Riverbed Steelhead HDD-004, 500GB HDD for CXA-01555 appliance. Specializing in refurbished Riverbed Products Riverbed Steelhead HDD caddy. Peplink Pepwave MAX BR1 (MAX-BR1-AE-T) specifications WWAN 4G/3G SIM slots: 2 (redundancy with data-overage & dead-spot protection). WiFi as WAN: 1 [switchable to WiFi access point (AP)]. custom application QoS VPN features. Eight HDD Caddies Included. No HDD Included. NO LEADS OR MODULES INCLUDED UNLESS OTHERWISE STATED. Also Isle of Wight and Isle of Man and any other off-shore locations. You will need to provide a phone number for this service. The warranty covers parts and labour only. Specializing in refurbished Riverbed products Riverbed Service Platform OK. Config: initial. Temperature (C): 50. Connection Limit: 600. Temperature OK. Table length OK. LK1-MSPEC550M-0000-0000 Model 550M Specification Valid. Citrix NetScaler MPX-5500. 4-Port Load Balancer Device. w/ HDD Hard Drive Included. I WILL TRY MY BEST TO RESOLVE ANY ISSUE OR CONCERNS YOU MAY HAVE. AirMagnet Planner includes built-in automated tools to help users with their migration strategy from existing legacy 802.11a/b/g networks to 802.11n technology. When integrated with AirMagnet Survey, users have a powerful solution that combines state-of-the-art predictive modeling with real-world performance data. Pulled from working Network. Developed by Kostricani Technology. Our zip code is 33064, if you wish to run your own estimate. We will work with you to make the order right. Dialogic / cPCI / PCI etc. Citrix ADC MPX 5500, front panel. Citrix NetScaler MPX-7500. 8-Port Load Balancer Device. NO HDD HARD DRIVE INCLUDED. I WILL TRY MY BEST TO RESOLVE ANY ISSUE OR CONCERNS YOU MAY HAVE. Login: root. Wrong size doesn't fit. No longer want the item. Part #: F5-BIG-LTM-3600-4G-R. Item Specifics:w/160Gb HDD and CF. SHA-07050-L BACKPLANE. DON'T SEE WHAT YOU ARE LOOKING FOR?. ONLY WHAT IS PICTURED IS INCLUDED. Model Number F5-BIG-LTM-1600-4G-R Manufacturer F5 Networks Product Description F5 BIG-IP 1600 Local Traffic Manager (4 GB Memory, Single AC Power Supply) No OS or LICENSE FILES. Tested good hardware. Condition Tested Good Hardware Only. Manufacturer: RIVERBED. This RIVERBED RB100-00125-08 is in excellent condition and ready to be redeployed. A representative will respond quickly. The item you will be receiving will be labeled with part number RB100-00125-08. Specializing in refurbished Riverbed products Riverbed Service Platform OK. Config: initial. 2050L: BW Limit: 100000000 Kb/s Connection Limit: 2500. Included Microsoft(R) SQL Server Valid. LK1-SH10BASE-0000-0000 Scalable Data Referencing (SDR) Valid. Certifications: CE/FCC Class A, UL Listed, RoHS Compliant. Weight ~ 13.23 lbs (6kg). Local admin via console/VGA and USB. Bootable DOM (No Hard Disks). 4 X GbE Auto-negotiating, Full Duplex Eth. F5 Networks F5-BIG-LTM-3900-8G-R LTM Base 8xGbE 4xSFP 8Gb RAM Dual AC. Other Info: Reset to Factory Default Settings. (Unless otherwise noted). Riverbed Steelhead CXA-00570-B020 New Out of box. Not sure about licenses. Location:office roll shelf A in brown box # Riverbed. Was never used or installed. Make sure it is exactly what you are wanting. What you see in the picture is what you get. Nothing else is included! Specializing in refurbished Riverbed Products Riverbed Host Tools version OK. Config: initial. Slot 0. 4 Port Copper GigE PCI-E Network Bypass Card, 410-00044-01. ESXi Initial Config Failed OK.
Riverbed Services Platform (RSP). Steelhead 1050-M. Steelhead 1050 Series. Altbatterien gehören nicht in den Hausmüll. Sie sind als Verbraucher zur Rückgabe von Altbatterien gesetzlich verpflichtet. Compatible with SHA-01050, SHA-02050, and SHA-05050. Specializing in refurbished Riverbed Products Riverbed Steelhead drive caddy. The hard drive has been removeds. 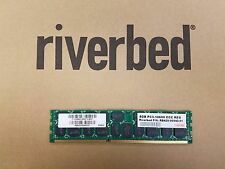 Specializing in refurbished Riverbed products Riverbed Steelhead CXA-01555-B010 w/LIC-CXA-1555-L, 3000 Connections, 2TB Raw, 8GB DRAM, Dual AC. Config: initial. Certificate OK. Included NFS Valid -- Included. 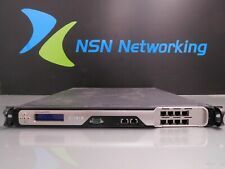 Citrix NetScaler MPX 7500/9500. Citrix NetScaler MPX 7500/9500 (8x10/100/1000Base-T copper Ethernet ports). HITACHI 320GB HDD Model: HTE723232L9A300. 7500 NS 8.1 Build 65.5. With 320GB Hard Disk Drive & 4GB Compact Flash. DTABA CXA-00555-B010. Riverbed Steelhead CX-555 Series Appliance Server. 1- Riverbed Steelhead CX-555. I try to describe everything to the best of my knowledge. Local pick up is available and always free. Original Box and Accessories. Specializing in refurbished Riverbed products Slot 0. 4 Port Copper GigE Network Bypass Module, Integrated. Certificate OK. Disk Status Task. Reports › Diagnostics › Disk Status. ssl Disabled. Specializing in refurbished Riverbed Products Riverbed Steelhead PWS-1-AC-2U. Compatible with CXA-5070, CXA-7070. Peplink Balance 310 (BPL-310) specifications USB WWAN (4G/3G) ports: 1. Ethernet WAN ports: 3 gigabit. flexible custom outbound routing policy WAN features site-to-site VPN. WAN link health check. A10 Networks AX3200-11. 3M Industries Limited are a broker / trader of computer parts and systems to the maintenance and brokerage market. We are able to source hard to find parts for Legacy systems through to the latest new in box parts for the latest generations of servers & storage systems.